Want to cuddle with Jason? Touch deprivation hurts, and healthy touch heals! I’m on a mission to heal the pain of disconnection and loneliness in the world, by increasing quality human connection through safe, platonic touch. Much of my life’s work has been about learning how to take care of my body’s highly sensitive nature. 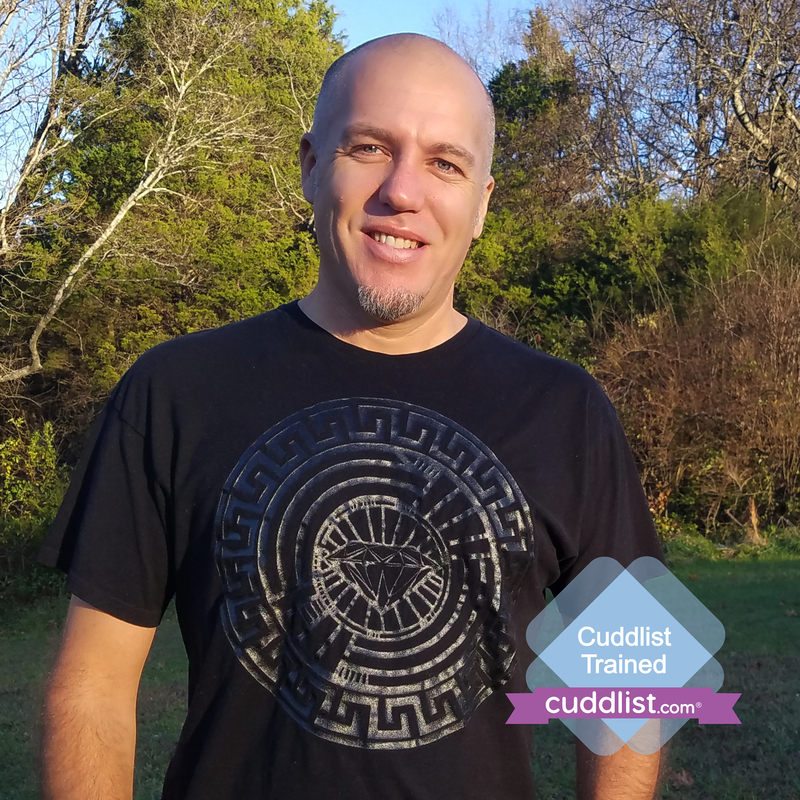 Over the years, I’ve battled and overcome depression, severe anxiety, and PTSD. In the process I’ve learned that our nervous systems need regular safe touch to function properly. When done with gentleness, healing intention, and respect, cuddling can be an incredibly important element in helping an over-stressed or neglected body feel like it is safe to thrive again. It goes even deeper than that, though. Our body is deeply connected to our emotional processes, which means that platonic cuddling can also be an important part of recovering from a break-up, improving self-esteem, or preparing to open up to love again without projecting the body’s need for touch onto the people you might date. 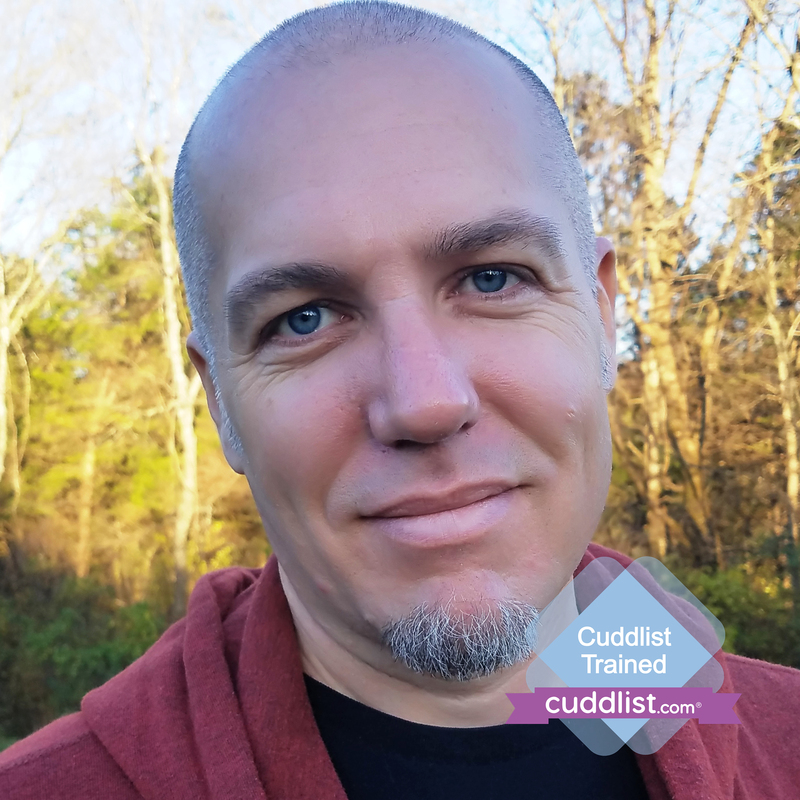 I’m a relationship coach and a transformational life coach, so cuddle sessions with me can be soothing and empowering on multiple levels. Whether you desire meaningful conversation with your cuddle, or just quiet support, I would be honored to be a part of your return to health and relaxation. Once you submit a request, I’ll call you for a quick chat so we can make sure we’re comfortable with each other, and then we’ll set our session appointment. Payment must be made in advance, please, via Paypal. Please be showered, have your teeth brushed, and be wearing clean clothes, and I will do the same. Cancellations must be made at least 24 hours in advance, please, or there will be no refund.